In 1947 Delta Epsilon Sigma created The Bulletin to help members keep in touch with what was happening in the different Chapters and with the national organization. In 1958 The Bulletin started printing articles about the role of Catholics in the academic world. Over the years it has expanded to include the winning submissions of the National Writing Competition. All published work in the DES Journal is peer reviewed by doctorally-prepared academics or specialists in the pertaining subject matter. 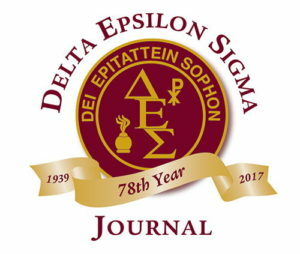 Read and download Delta Epsilon Sigma’s previous Journals, organized by year for your convenience.